By Dax – The new decade of 2000 unveiled a new era where the pluralistic Western world and Muslim believers are seen at opposite forces in the Post-Cold War New World Order. People on both sides of the cultural hemisphere are divided and clouded by distorted thoughts that both worlds could never be united. In this article, I want to emphasize that this is a shorted way of thinking. From an urban perceptive, lot of esthetic refinements can be found in merging Eastern & Western architecture. Allow me to introduce myself: my name is Dax, 28 years of age, living in the Flemish city Antwerp, Belgium. As Belgian citizens, we are born in a divided country with 3 different cultures (Dutch, French and German speaking natives) living in harmony in one of the most densely populated places on earth. Therefore, in my personal opinion, Belgians can often be seen as multicultural experts for a smooth collision between different cultural behaviour. I mean, Belgium can be seen as a clash point where the greatest civilizations of Western Europe met and united in a somewhat unique way, creating the foundations of the European Union as we know it. 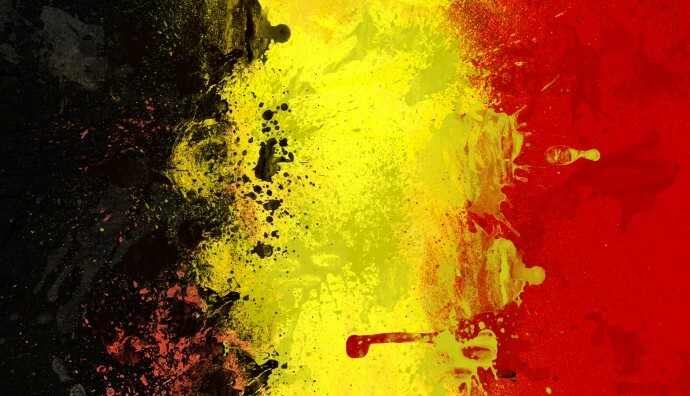 Sharing no religious believe, the political situation of Belgium is not as complex as the likes of the Middle-East or Balkan region, but within those countries who suffer even more from religious diversity, situations seems unsolvable. The West only sees non religious believe and atheism as the means to solve the political instability in these regions. But is this the best way to go? Is Europe or the West for that matter not short sighted? Taking a closer look at 3 unique locations (Istanbul, Jerusalem and Sarajevo), one can take a broader view on how beautiful it would be to embrace these cultural and religious differences. See these cities as the future, pioneers of their age, places where cultural tolerance towards each other is key to continue people’s daily lives. And look at these cities shine! Istanbul was my first experience of this wonderful urban phenomenon. The Ayasophya, being a religious symbol for both the Byzantium & Ottoman empire, is transformed into a museum where both Christian-Orthodox and Muslim signs can live together in harmony, making the monument so precious. Jerusalem, the most valuable religious inheritance in the world, shows how a city, in the past, torn apart by war between Jews and Muslims can unite by simply showing tolerance towards each other’s language and rituals. Although a slight tense atmosphere can be sensed, one can see that Jewish and Arabic people can in fact live together in a territory filled with churches, mosques and synagogues. It really warms one’s heart to see a Jew talk Arabic just to make a Palestinian feel appreciated. Sarajevo, once a shooting target for nationalistic Balkan forces demonstrates that 2 religions are not enough: the city itself is a meeting point between Muslim, Catholic and Christian Orthodox communities. Visiting the marvelous city feels like walking down a historic timeline from old Ottoman style to new Austrian-Hungarian houses to socialistic buildings and eventually modern capitalism. Urban planning at its best? Will this ideal mix of East and West be the first steps of creating the new futuristic cities of the 22nd century? ← The meaning of a confederation. What are the implications for Belgium?